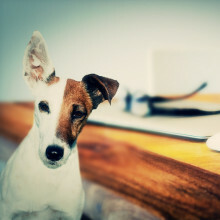 How smart is your pet dog? David wanted to know how our pet dogs compare to other animals, such as primates and dolphins, when it comes to intelligence. Stevie Bain spoke to Ben Ambridge from the University of Liverpool, and author of ‘Are You Smarter than a Chimpanzee?’, to find out more. 00:00 - How smart is the average pet dog? 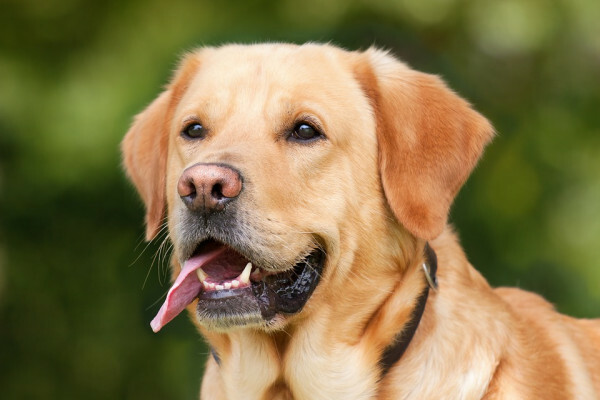 How smart is the average pet dog? Ben - It’s not that difficult to come up with a test that you can give in more or less the same form to a handful of different species. There are plenty of studies comparing humans to chimpanzees, to pigeons, to squirrels, and so on. But it’s impossible to come up with a test that will work across all species, firstly for boring practical reasons, so you can’t get a fish, for example, to swim out of tank and press a lever. But more fundamentally because it’s not clear if intelligence means the same thing across different species. Ben - So instead, what scientists generally do is to try infer intelligence based on brain size or brain weight. About the best measure we’ve come up with is called the encephalisation quotient which essentially measure whether the brain size is bigger or heavier than you’d expect given the overall size of the species. This doesn’t work perfectly but it gives pretty much the results you’d expect. So humans come top of the table with a score of 7; dolphins are second with about 5; chimpanzees are just over 2; monkeys and whales are just under 2. And on this measure dogs are actually pretty mid table; they score about 1.2. So, to put that in context they’re just above cats, horses and sheep, for example, who score 1 or just under, but they’re just below foxes and elephants. Stevie - Hmm. So not a particularly impressive score for man’s best friend. In fact, our domesticated pooches even score lower than their wild relatives - the wolves. Ben - So dogs in general might not be particularly special, but that’s not to say that dogs in particular can’t do some pretty impressive stuff. For example, in my book I took a border collie, called Chaser, who managed to learn over 1,000 different words, albeit with some pretty extensive training. In particular, those breeds that have been bred specifically for intelligence can be pretty smart. Thanks Ben for putting that one to rest. When you cook food with wine, brandy, or indeed any alcohol, how much, if any, percentage of alcohol stays behind? Also, what would its effect be on an alcoholic? Can dogs recognise each other as dogs? Next Where do new drugs come from?